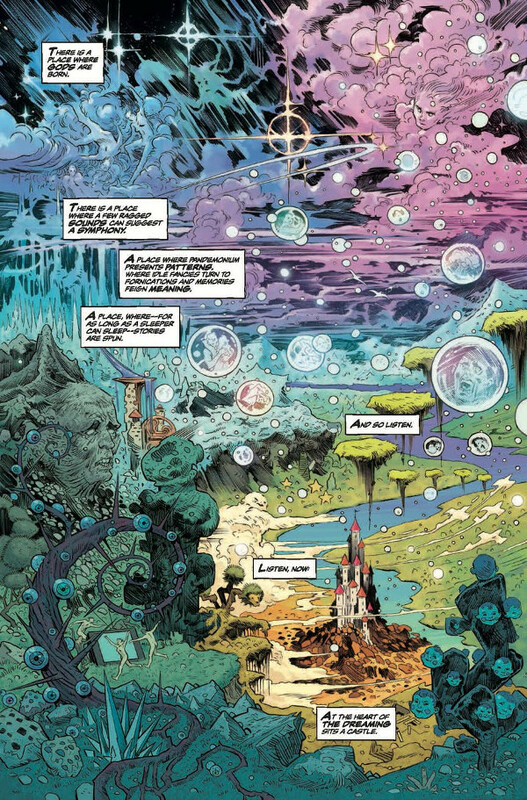 The only real flaw with Sandman Universe #1 is a presumption that the reader is already familiar with the universe of The Sandman. 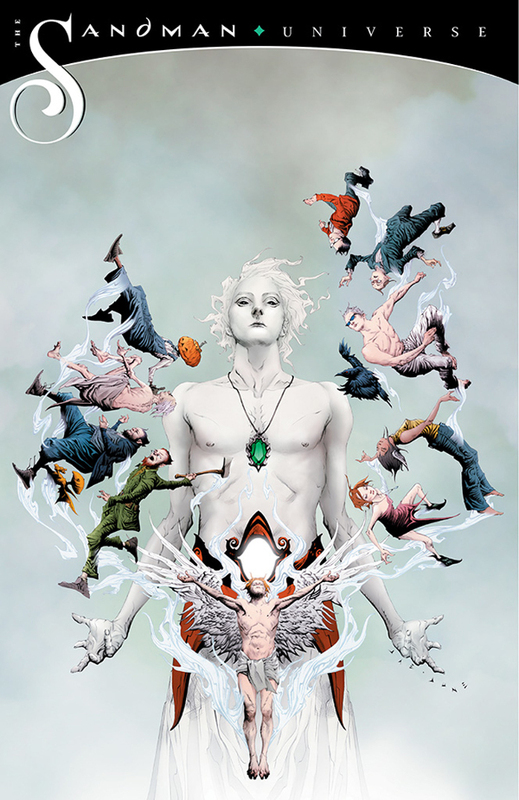 This is a fairly safe assumption, however, as the original Sandman series by Neil Gaiman and a host of fantastic artists is one of the few undisputed classics of the graphic novel medium. Thankfully, what little information the book itself doesn’t give you is easily looked up on-line. But in the interest of speed and keeping you reading, I will explain… There are seven beings called The Endless. They are personifications of forces we believe need to have an intelligence behind them, like death or destiny. So there is a Death and a Destiny. And there is a Dream, who is known by many names, including The Sandman. Dream is the personification of creation and imagination. He is the Prince of Stories and his realm, The Dreaming, is the place where gods are born, ideas are forged and anything is possible. What follows sets up the various spin-off series that will make up the new shared reality of the revamped Vertigo Comics universe. 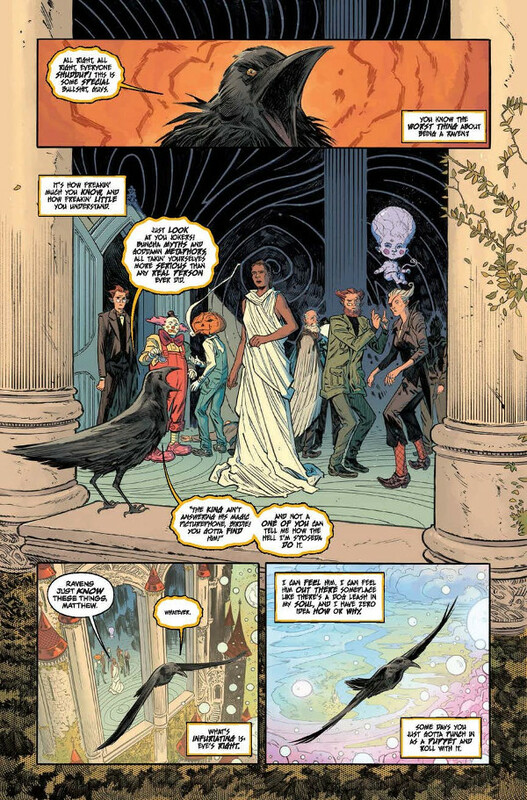 Matthew and Lucien will continue to try and solve the mystery of Dream’s disappearance in The Dreaming. The adventures of newbie magician Tim Hunter (another of Gaiman’s creations) will continue in a new Books of Magic series. A new house, overseen by the Vodou deity Erzulie, will be introduced to The Dreaming in House of Whispers. Finally Lucifer, the fallen angel and one-time ruler of Hell, will once again headline his own series that will have nothing to do with the recent Fox television series that was VERY loosely based on the original Lucifer series that spun out of The Sandman. Of the four stories we see here, it is the one setting up The Dreaming that attracts the most attention, largely because it promises to directly continue the story introduced here. It is Lucifer that is the hardest to get a read on, being so alien in reference even to those who read the most recent Lucifer series by Holly Black and Richard Kadrey. Strangely enough, House of Whispers looks the most intriguing despite barely tying into the narrative of this issue, thanks to some eye-catching artwork. Even the weak link – the section with Tim Hunter – is not bad and it suffers only because of how short it is and how disconnected it is from the main story, with Matthew The Raven basically saying “This looks interesting, but I can’t stop to help this kid.” So what’s the verdict? If you’re a fan of The Sandman and Neil Gaiman, Sandman Universe #1 will prove a welcome return to form and an exciting promise of what dreams may come. Based on what we see here, this will be one of those rare anniversary events that will live up to the legend of what inspired it. 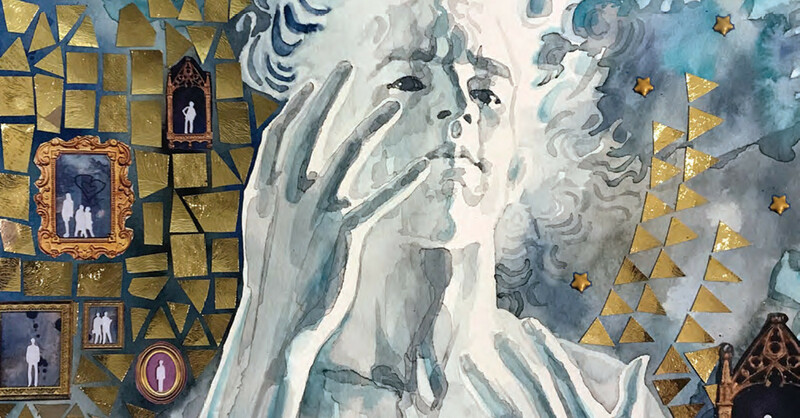 If this is your first time venturing into the Vertigo Universe, you should be fine, but you may want to treat yourself to the original Sandman books that lay the foundation for what we see here anyway. 8/10 Sandman Universe #1 releases on August 8, 2018!